Chris Gayle becomes the second overseas player to the feat. 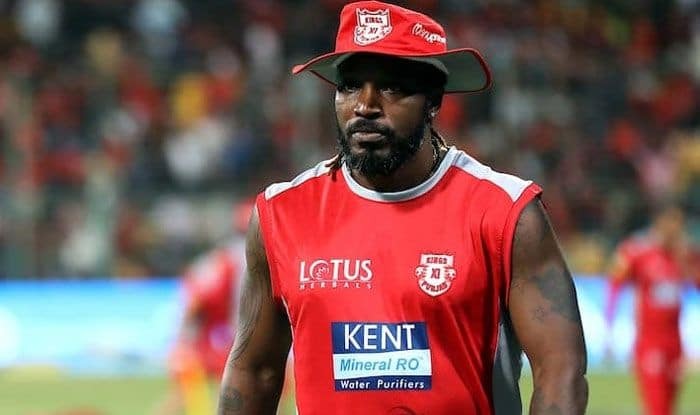 IPL 2019: Known to be one of the most feared T20 batsmen in the world, Kings XI Punjab’s Chris Gayle joined SRH’s David Warner to become the second overseas player to breach the 4000-run-mark. He also joined an elite group comprising of Indian stars like Virat Kohli, Suresh Raina, MS Dhoni. Gayle needed six runs to get to 4000 IPL runs and he did it quickly as Rajasthan Royals won the toss and opted to field first. Gayle opened the batting for KXIP along with KL Rahul. Gayle currently has 3994 runs in 112 IPL caps and with an impressive average of 41.17, the Southpaw is a major concern for opposition bowlers. He is the fastest to 4000 runs and the ninth player to do so. The veteran Windies cricketer has recently made a comeback for his national side. The 37-year-old made his debut back in 1999, has scored 9,727 ODI runs in 284 matches and is second only to former West Indies captain Brian Lara who amassed 10,405 runs. In his illustrious career, Gayle has hit 23 ODI centuries. His 215 against Zimbabwe in the 2015 World Cup is the highest score and is one of only six players who has scored a double hundred in the 50-over format.